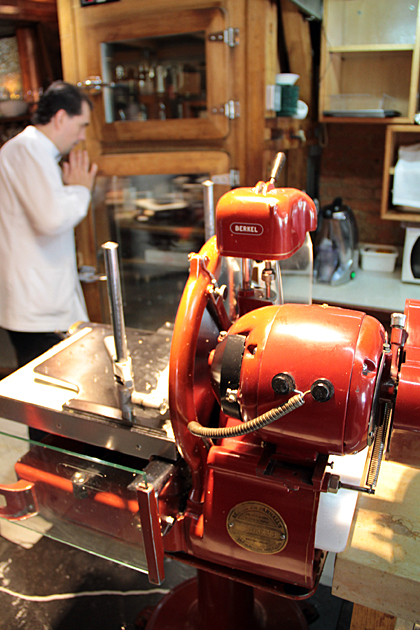 On the recommendation of one of our new Asturian Twitter friends, we chose Punto y Coma for our first big lunch in Oviedo. When we arrived at 14:30, the place was already packed and we were lucky to get a table. 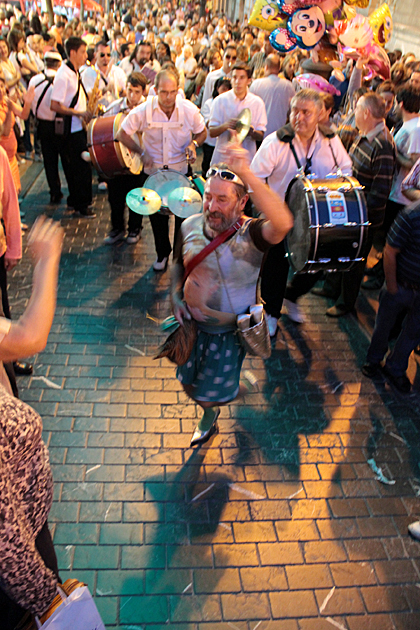 Las Fiestas de San Mateo are the biggest event of the year in Oviedo, taking place over the course of nearly two weeks. 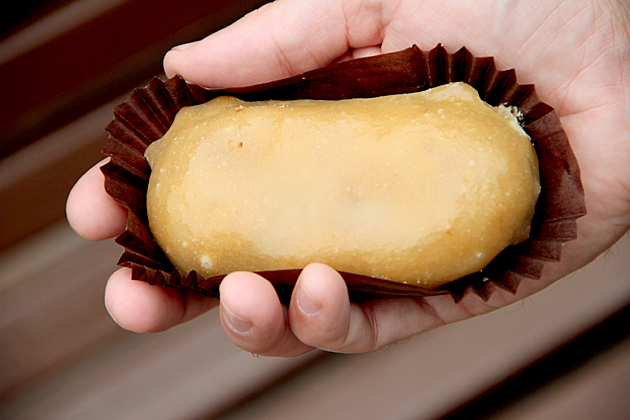 Oviedo has celebrated the saint’s feast day for over a millenium, since the days of Alfonso II in the 9th century. The largest building in Spain is found in Gijón. 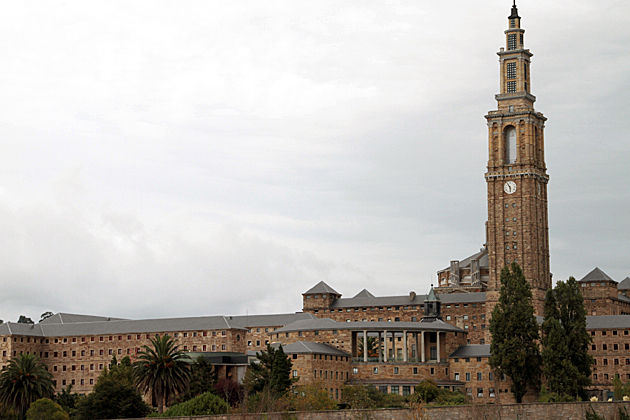 About three miles outside the city center, the massive Universidad Laboral gobbles up 66 acres of land. Built between 1946 and 1956, the Laboral is an astounding memorial to the grandiloquence and megalomania of the Franco era. 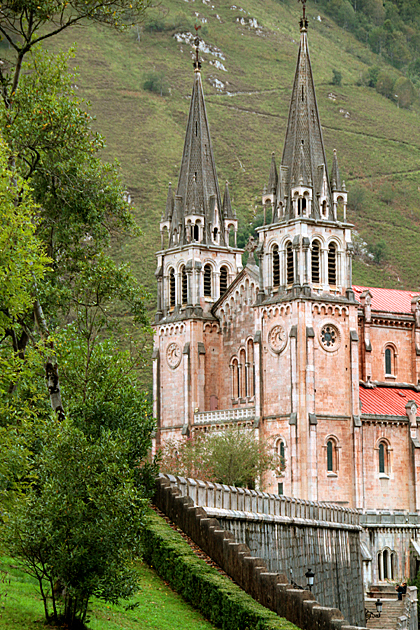 One of the most visited towns in all of Asturias is also one of its oldest. 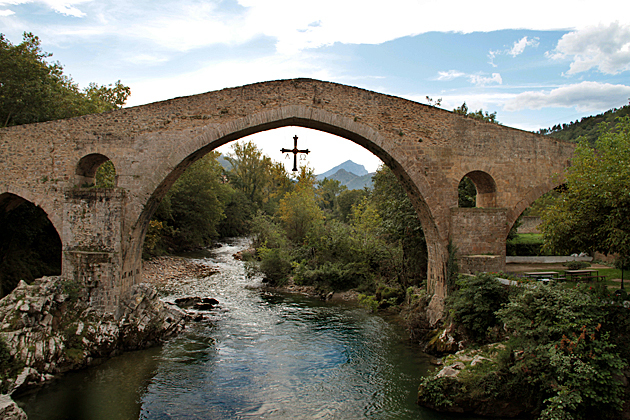 Serving as the entrance to the parks of Covadonga, the village of Cangas de Onís is inundated every weekend and throughout the summer with religious tourists who’ve come to pay tribute to the spiritual heart of Asturias. Carbayón is a word with various meanings to the people of Oviedo. 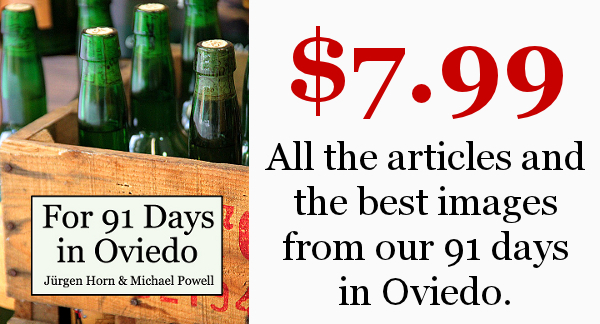 First and foremost, it refers to a beloved oak tree which had been the symbol of Oviedo for centuries, until it was torn down to make room for Calle Uria in 1879. The term “carbayón” can also refer to a native of Oviedo.